Grow love bigger. That’s one of our family’s mottos. And Henry Christopher did just that when he was born this past Friday night. He is literally bigger, weighing in at 9 pounds 6 ounces and 21 inches long. He is figuratively bigger in how he has positively affected so many. For example, he turned a woman and a man into a mother and a father. Just like that. He turned others into first-time grandparents, uncles, aunts, and second cousins. He has even made some people great as well as great-great. I’m no longer rather ordinary, I’m grand. How very kind and generous of Henry. In the blink of an eye, our family turned a generational page. A clean page. A fresh start. We’ve confirmed some basic truths. Meet the needs of the most vulnerable among us first. Trust a mother’s instincts. Hard labor is valuable. Surround yourself with the best people for the best process and results. Be persistent. Keep a sense of humor. Eat good food and stay hydrated. Drive far, sleep little, do what needs to be done in order to be present. Be patient. Really patient. It was a difficult birth. My daughter was heroic and her midwives provided amazing care. My son-in-law was a pillar of strength and tenderness, adjusting to the needs of the moment. I was privileged to attend Henry’s birth. He worked hard to be born. And Henry worked hard for days to nurse. That’s a lot of work for a little fella. And a lot of worry for new parents. Again, cool heads, commitment, support, encouragement, and hard work prevailed. Being with this sweet young family is like witnessing a beautiful dance unfold or a love story bloom. Swooooooooon. Our family, and the world, needs such big love. And I need to hold the baby. Hold the baby. Hold the baby. Breathe in the baby. Smile and rock and sing a lullaby. Melt. Be amazed. Be amazed again at the miracle of Henry. PS: I haven’t been online so if I missed your correspondence, please resend. Thank you! Congratulations! What a good point how the family grows bigger and dynamics change all through one little birth. Congratulations to all! He’s so beautiful! I’m so happy for all of you! New babies rock! I’m sorry to hear it was a difficult birth, but I’m glad – and I bet Devin was too! – that you were there to hold hands and lead cheers. He was worth the effort involved. Just overcome with nothing but JOY for all of you!!! 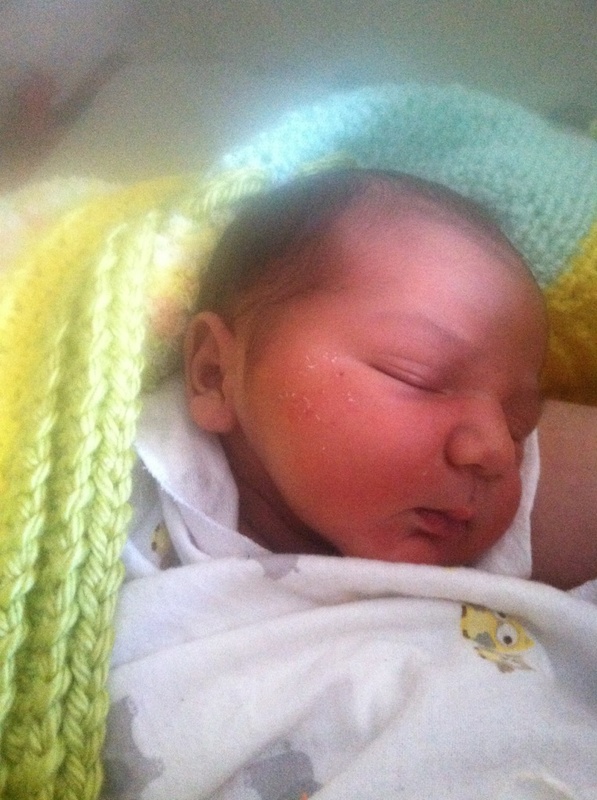 Welcome to precious Henry – sending love from his cyber-Auntie-Jenny! Give him an extra snug from me dear friend! ~~~ waving to you, Auntie Jenny! My goodness…MY GOODNESS! Dave and the boys are here, too, so we’re all just soaking in the looooooove ❤ Love to you and yours! Wonderful news , my best wishes to the parents and child and of course to all the family. I can see a very proud grandmother !here! And yes you all deserve to be proud and happy , grateful for the miracle of life that once more blossoms in your family. Kisses and Hugs, so happy for you, he is a sunshine! Evi, I’m pinching myself! Henry is a sunshine ❤ Thank you for being happy with us 🙂 Happy weekend to you and your sunshiny family! I can imagine how happy you are all! It is a life changing event ! Oh, Angie! What a beautiful post, beautiful baby, and beautiful family! I’m so glad you all can be there at this most treasured time. Me and my Mom(and family) know the difficulties of being so far from each other. It’s GOOD to be where we each are, as God gives us all many, many blessings in our day-to-day where He has placed us all, but the tears come none-the-less in the missing each other, and the loss of the joyful day-to-day we all have shared in our homeschooling life! I know my Mom misses incredibly spending time with her precious grandchildren, and soaks up every minute of it while we are together, as I know you are now. I, also, am the only daughter in our family of 5 kids, so my Mom and I share a very special bond, and having her here for the births and early days has always meant so much to me( and her), as I’m sure it has for Devin to have you there, and you to be there for and with her. Give her an extra hug for me, and tell her “Good job!” I’m proud of her for laboring so well, and patiently enduring the difficulty of a rough start nursing. I know how hard that can be.! If she’s having trouble with soreness nursing, I would recommend LOTS of lanolin, if she’s not already doing so, applied EVERY time she nurses. I have used it some with each baby in the first days of nursing, but this time I used it, applied heavily, every time I nursed and even re-applied in between times, and it helped SO much. I wish I’d known that 7 babies ago! I will be praying for Devin, Michael, and precious Little Henry Christopher(what a cutie! Love the name!) during these early days settling in as a young family. May God bless them and all of you abundantly! Will pray for you all for comfort as you part to head home (if you do 😉 ). Congratulations!!!!! Thank you, dear, sweet Angie! The prayers are cherished, and the love returned!<3 I know you're enjoying that precious baby! I'm enjoying our precious 7 week old baby here. I have enjoyed this babymoon more than I've been able to with a baby in a while. I love sitting and holding her in the night…or anytime. 🙂 God is good! Thank you, Andy! Woo hoo!!!!! Congratulations grandAngie and too the proud parents, aunts, uncles, etc. Another beautiful branch added to the family tree. Great News! All my best wishes to you and your family. Congratulations, Angie and family, and WELCOME Henry, welcome! Oh, Lord in heaven, we thank You, Heavenly Father, for the rich blessing bestowed upon this family. May Henry walk close beside You all the days of his life, to seek Your Kingdom first and Your righteousness, and to trust in You with all his heart and lean not on his own understanding, that You will make his paths straight, and true. Father, bestow upon Henry Your blessing and grace, Your kindness and love, and may he dwell always in the shadow of Your strong right arm. In Your name above all names we pray, Yeshua HaMeshiak. Amen. It’s my joy and privilege, Angie. God bless you all! Wow! Babies do love to make a dramatic entrance. Welcome to the world, Henry. Best wishes to you, Angie, on your new grandmother status and to your daughter and her family. I wish you joy and envy your ability to inhale that newborn smell. Nothing like it in this world! I was so happy to hear your news from your mom and dad. They are over the moon at being great-grands! Congratulations to Devin and MIchael! How blessed they are to have had you there for birthing and breastfeeding help. Enjoy that precious, beautiful baby!! My turn comes in November, my Peter and his wife Sarah are expecting! My first grandchild! Can’t wait! Much love to you, my friend! CONGRATULATIONS Mary Ann! Oh my goodness, please do give Peter and his lovely bride my very best wishes. And, thank you ❤ Wow….simply wow. Let's talk on the phone this summer, when things slow down a bit. Lots to catch up on 🙂 And…LOL about my parents! You'll need to tie them down at Mass so they don't float away on happiness!!! How blessed we are. Great, great, great to see you here at my blog. Thanks for stopping by and look forward to connecting again soon ❤ Love to all Rogans! Beautiful…joyous…miraculous…sigh…miss you all…love to you all! Thank you, Vijay! I’m visiting Henry as I type and he continues to grow in love and cuteness 🙂 Have a great week! Henry is quite a stunner already! I love those delicious little cheeks! You’ve made me even more excited to meet my grandson. I didn’t think that was possible. Congratulations to you and your whole family!